As a policy wonk, my conference experience over the past 20 years has not included much visual, dramatic and musical artistry. This vibrant mixture of artists, activists and academics made Citizen University’s National Conference a compelling experience. Billed as a “conference like no other,” the event drew 500 participants to Seattle last month, including Seattle Foundation as a major sponsor, focused on accelerating civic participation. The conference launched five years ago as the brainchild of Eric Liu, CEO of Citizen University and executive director of the Aspen Institute Citizenship and American Identity Program. 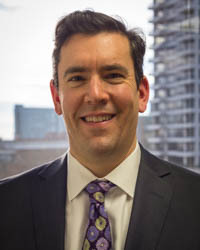 A former White House speech writer and policy adviser for President Bill Clinton, Eric has written several books, including The Gardens of Democracy, and is a columnist for CNN and a correspondent for The Atlantic. Activating citizenship and engaging communities in philanthropic choices is about providing agency in shaping the places in which we live. Citizen University shares a grassroots approach to its work with Community Democracy Workshop, a national project of Philanthropy Northwest. This year's conference attendees were continually asked, “Who Is Us?” Our national discourse has heightened and intensified our focus on race, income inequality and identity issues. Changing demographics, shifting understanding of identity and rapid economic changes all support the need for reinvigorated civic participation. Speakers ranged from the fabulous youth participants in the Mikva Challenge to the former director of a SuperPAC supporting Rand Paul’s presidential aspirations. While current events were never entirely absent from the discussion, the overwhelming focus was on the horizon. A particularly interesting panel, The Mirror of Pop Culture, focused on how popular culture can be a participant in changing perceptions. 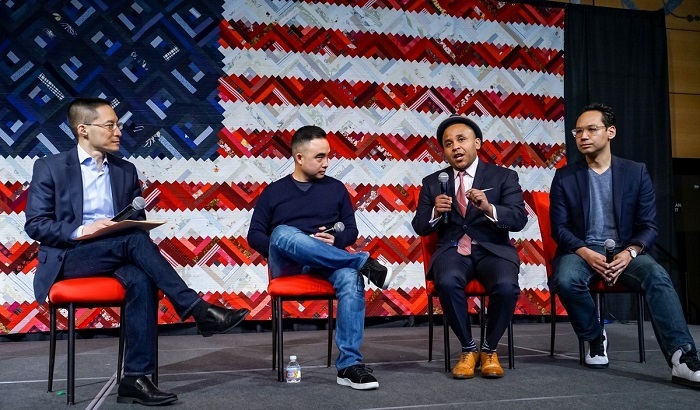 Eric Liu (Citizen University), Melvin Mar (Fresh Off the Boat), Rashad Robinson (ColorofChange.org) and Brad Jenkins (Funny or Die) address the Citizen University conference in Seattle. Photo by Alabastro Photography. “You can't create policy change without culture change,” said Rashad Robinson, CEO of ColorofChange.org, reflecting on his previous experience working in Hollywood to shift public opinion on LGBT rights. In this challenging time, comedy is a necessary component in elevating public policy. The younger participants in the conference were far more adept and natural at weaving arts into the movement building they are advancing. This is not a new tool. Art was a core part of the civil rights, suffrage and labor movements, but less prevalent in the past few decades. Perhaps our missions could be advanced more effectively with more light-heartedness and art. Brad Jenkins, managing director and executive producer of Funny Or Die DC, told the story of encouraging President Obama to go on the mock talk show “Between Two Ferns.” The Obamacare rollout was hobbled by a malfunctioning website and a disastrous narrative about health care reform was setting in. Jenkins, then a member of the White House policy team, recognized the power of humor to reset the narrative. President Obama’s visit to the ferns (and host Zach Galifianakis), led to a huge spike in enrollments and more positive coverage (and, the website was fixed). Citizen University conducts a variety of programs throughout the year. Its next national conference will be March 24 and 25, 2017. Remy Trupin is a Philanthropy Northwest Catalyst Fellow, focused on advocacy. He can be reached at rtrupin@philanthropynw.org.